Lisa at Online Publicist is organizing a book drive in memory of a fellow book blogger known simply as Dewey. I did not know Dewey personally, but I do know that she loved books and touched the lives of many. Here is what Lisa has to say about Dewey, and The Dewey Tree instructions. As I write this, I think of a favorite blogger who passed away this time last year. Her spirit lives on in the Dewey Read-a-Thon, Weekly Geeks, and The Bookworms Carnival. She loved reading. She loved books. She supported Banned Books Week and believed everyone had the right to reading material. In her honor, I'm calling this donation project The Dewey Tree. 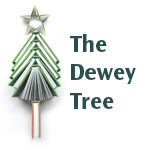 It's a little bit The Giving Tree, a little bit Dewey, a little bit charity. Gather up the books you can live without. It can be 4 books, 10 books, or 20 books! Find a worthy group you would like to donate your overflow books to. It can be your local library, a literacy campaign (mine will go to the literacy center I volunteer for), or overseas. There's a great list of book donation sites here on the ALA. Find a charity that speaks to you! Then take a picture of your donation and email it to me (onlinepublicist [AT] gmail [DOT] com). It can be a pic of the mailing label on your package, one of your kids giving a box of books to a librarian, or you handing books over to your literacy center. Be creative and have fun! I will accept pics (and will post favorites) until January 4, 2010. At that time, I will enter the names of all who sent donation pics into Random.org and choose three. Those three winners will receive custom made totes from me! I will email you pics of my available fabric and have you build one you like. The pic above is of two I made recently. 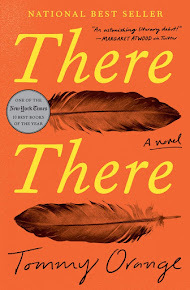 Great post-I always take my books to the library-although last time I took them to my local library as opposed to the one I patronize and the woman told me if I did not like things take them elsewhere-but for the fact that I had about 5 bags I would have. I donated them to this one because they need money for a new library.